Lunch Box Chef is a local wedding, party and corporate catering company based in Burnham, Bucks. 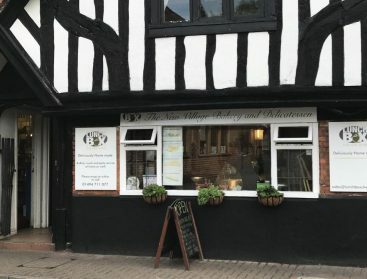 All out food is prepared from our local shop on Burnham High Street where you can also grab your lunch for the day including freshly made rolls, sandwiches and salads and a wide variety of hot foods including sausage rolls, pasties, quiche and of course coffee. We offer a quality catering service to individuals and companies for all sorts of events including Parties, Weddings, meetings, and lunches with no delivery charge in the local area. We pride ourselves on being flexible with our menus and can provide bespoke party food or standard menus. 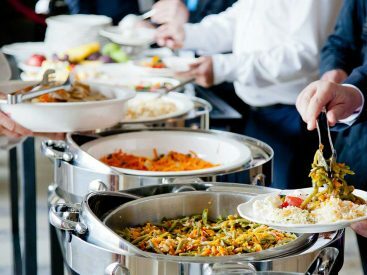 We offer catering in and around Burnham including Slough, Segro, Heathrow, Hounslow, Ealing, Maidenhead, High Wycombe, Gerrards Cross, Taplow and other areas around Burnham. Our bespoke catering packages include corporate days, canapé receptions, drinks and breakfasts to name but a few. We offer an extensive menu range which caters for all diets, tastes and cultures. Whilst it helps if we have notice of your order we can accept orders for next day delivery and will try to achieve same day delivery on emergency orders. For corporate clients We can invoice as a 'one-off', weekly or monthly and accept all credit and debit cards. Should you wish to introduce an 'In house' service or be looking to change your existing contract then we would welcome the opportunity to discuss this with you. We can offer preferential rates and a fantastic service tailored to your exact requirements. Our food is delicious, our service is exceptional and once you’ve eaten with us, we are confident you will do so again! We would love to hear from you with your special requirements, so please contact us and we will be happy to provide you with references and your first booking at 50% discount. Lunchbox chef have been providing wedding, party and corporate catering since 2010, initially based in High Wycombe, we are now based in Burnham High Street, Buckinghamshire close to Slough and the Slough Trading Estate. 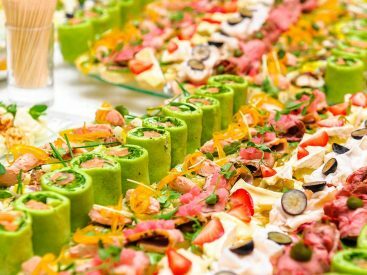 We offer a wider variety of Corporate Catering from finger buffets to full catering solutions. We can deliver locally and pride ourselves on being flexible including same day orders where possible. Check out our Fork and Buffet menus and if you can't see the right option then give us a call and chat to us about your requirements. Our minimum order is for just five people, so if you are looking to find a quality corporate catering supplier located near Slough, Burnham, Windsor or Maidenhead then why not give us a try.